Anodized aluminum oxide is a way of oxidation, refers to the electrochemical oxidation of metal or alloy plate , aluminum alloys plate in the corresponding electrolyte and specific process conditions, under the action of impressed current, A layer of oxide film forms gradually on the aluminum products surface (anode).In a given anodic oxidation condition, a hard anodic oxidation film can be obtained on the surface of anodized aluminum plate with an excellent anticorrosion. Anodic oxidation in the anodized aluminum plate can not only solve the aluminum surface hardness and wear resistance. · Anodized aluminum plate can prolong the service life of the aluminum sheetand also makes the aluminum surface more beautiful. 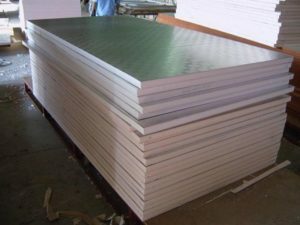 Anodic oxidation has become an indispensable part of aluminum surface treatment, and also the most widely used and the best one. When we noted that the market began feeling more and more metal materials or metal household items, we cannot help sent wonderment. More and more metal materials used in all kind of production, means that the metals material more can reflect the product quality and highlight the brand value.